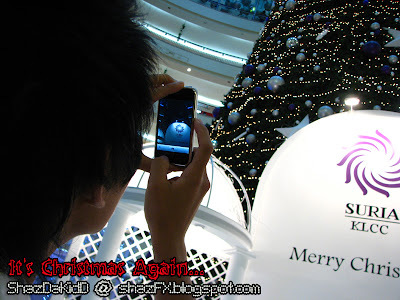 It's amazing how fast the Christmas deco was up in many shopping malls in Kuala Lumpur way before the month of December starts! Well... most of the mall had the Christmas Spirits in 'em... ever since the middle of November! On par with the Singapore city deco's i believe... but of course their deco's, events and happenings in town are far much greater than what you can see here in Malaysia! 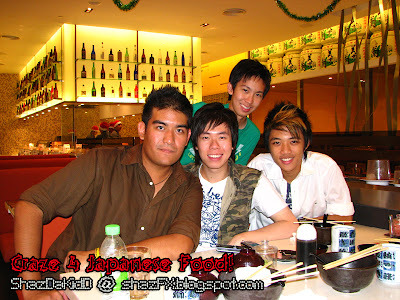 I was in Singapore last year to go for a short holiday in that lovely city, meet up with friends and even shop a little! The fabulous city was just too AWESOME! i'd say... seriously the feeling of Xmas was there! It felt so different, it felt like as if i was in some European country! 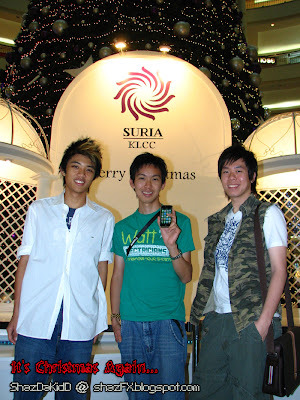 Suria KLCC still has the same Xmas tree now for like err 5 years??? The Curve apparently has the BEST Xmas deco in town! Go ahead and look at it for yourself... Anyways on this day, since Jack was back! A bunch of us went for jalan jalan in the Curve, Ikano, Ikea, KLCC and Pavilion... all in one day! 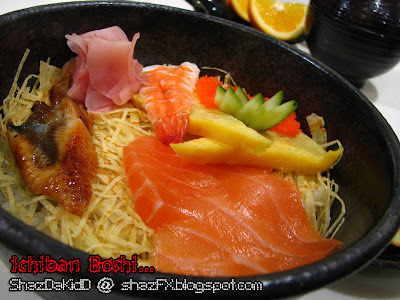 Below are some of the pictures taken over lunch at Ichiban Boshi @ Pavilion. Not too sure about what Jack had for lunch... but this was it! So yea... here's Ian and Jack! 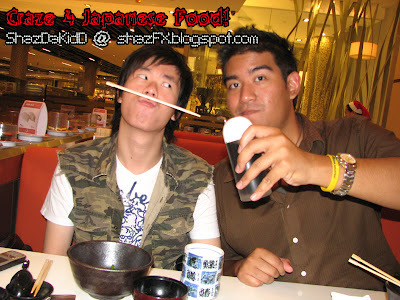 Perhaps we were all too high on the ROASTED Japanese Green Tea drink they gave us! Free Refill yO!!! 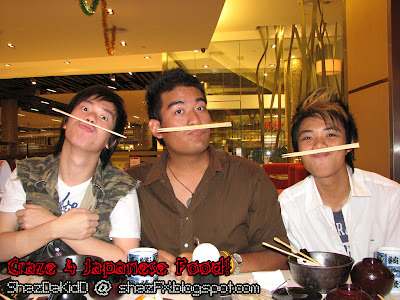 Kevin, Me and Ian... all using a whole lot of Chopsticks for errr no purposes! 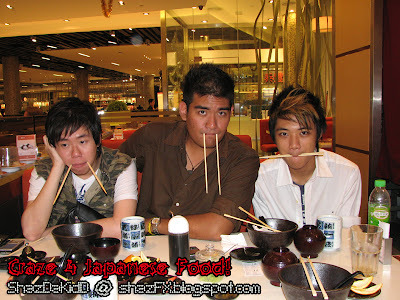 Let's not waste anymore chopsticks shall we!!! Well anyways, we had an enjoyable lunch...!!! 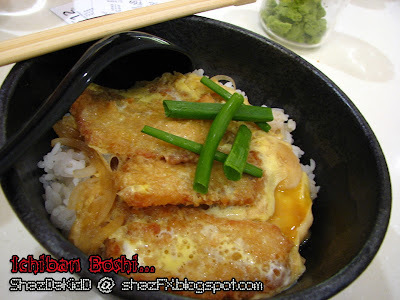 Then we moved on to the next thing in our itinerary! 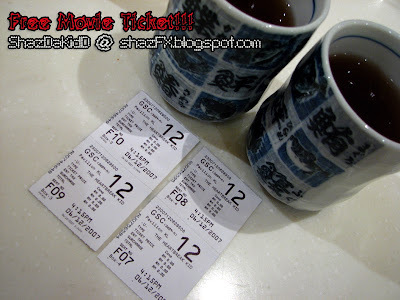 Which was to watch the movie HEARTBREAK KID - on the day of its launching here in KL, @ GSC Pavilion!!! Notice the tickets... RM0.00 --> Free tixxx YO!!! Visit Portuguese Settlement in Malacca. The decoration there is one hack of a unique one. Be warned of the crazy traffic there though. 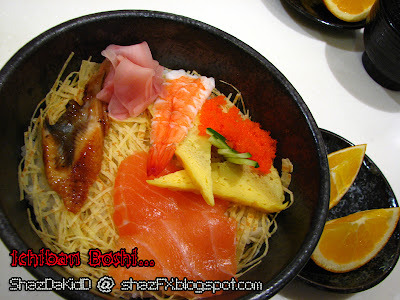 btw i hard a hard time scrolling your blog coz it displays a lot of posts. may i suggest that reduce the number of posts to be displayed on you frontpage. anyway, you have nice posts.